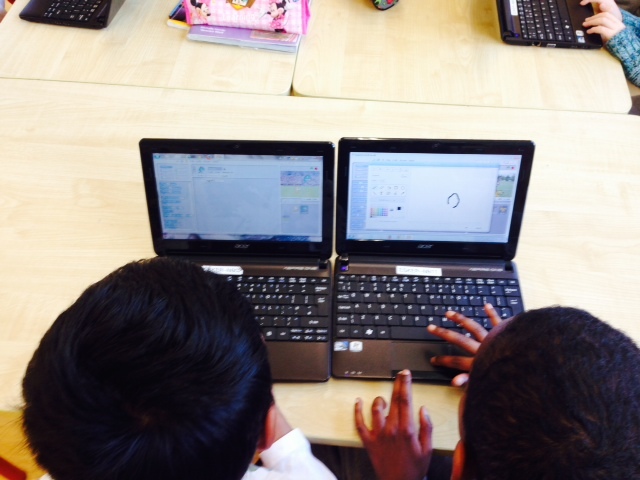 We have been using Scratch in class. 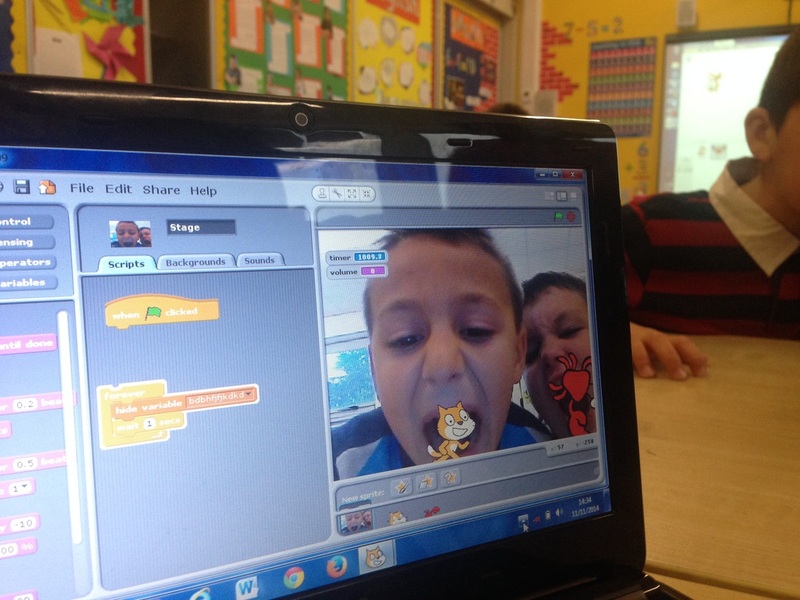 With Scratch, it is possible to program interactive stories, games and animations. We are just getting started...and look what we can do already! Look at this bat flying across the screen! 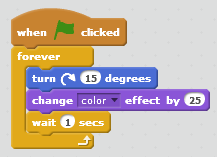 On only our second day of experimenting with Scratch, a couple of us learned to do this by asking the sprite to face right, move ten steps and change costume when the right arrow is clicked. 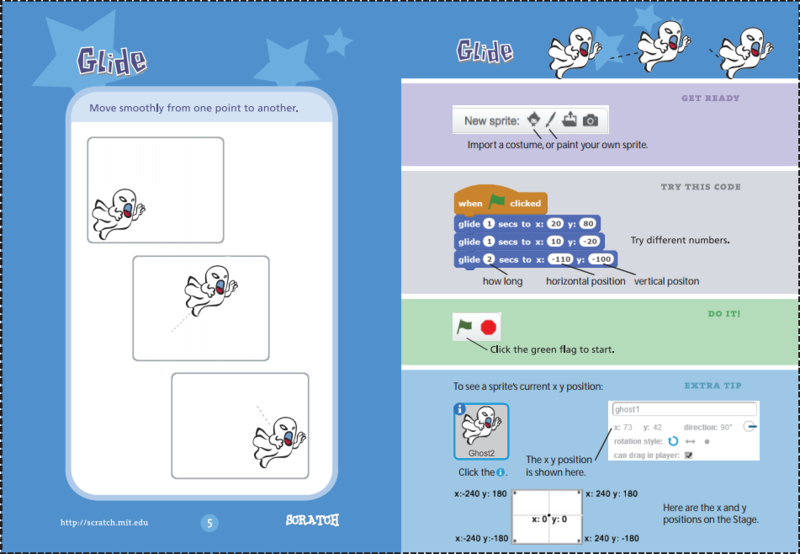 We have been practising how to glide and rotate. Try it at home! 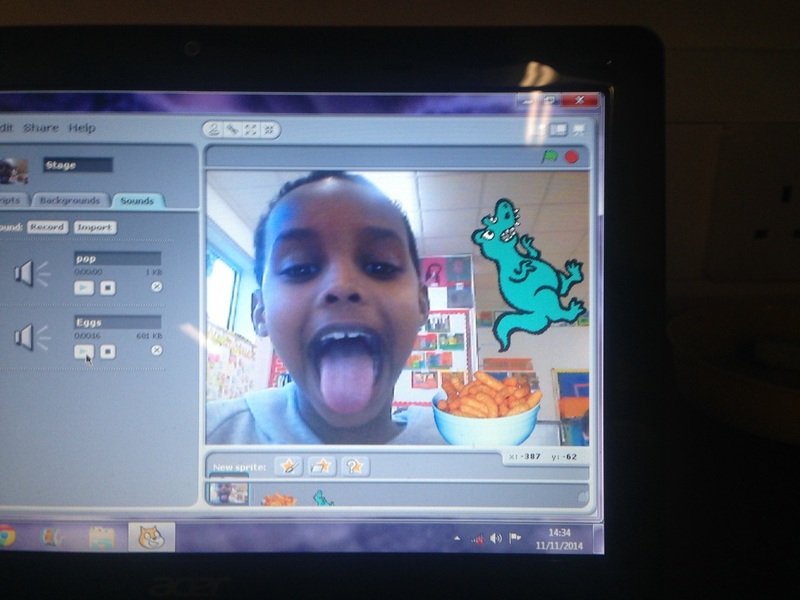 We have been experimenting with effects. We particularly like the whirl effect! 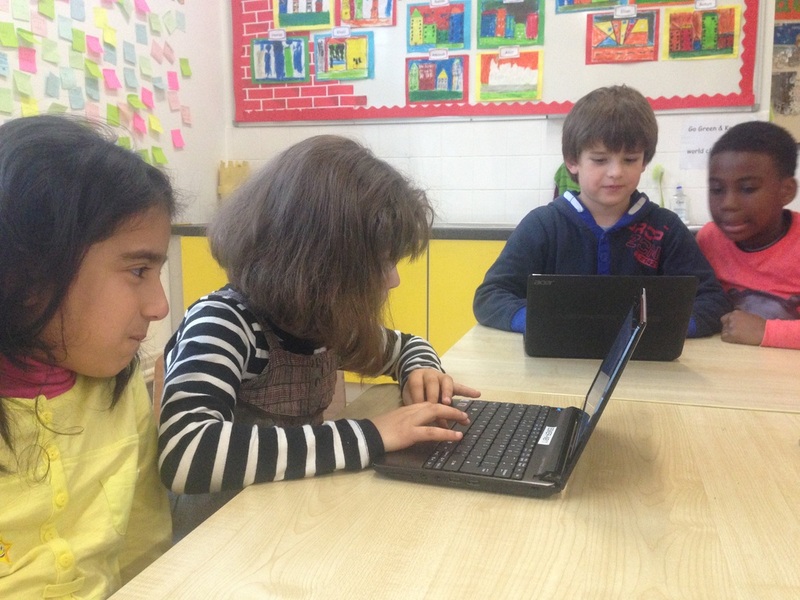 We have been importing music and recording sounds. 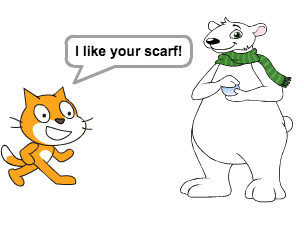 We have asked our sprite to talk too! 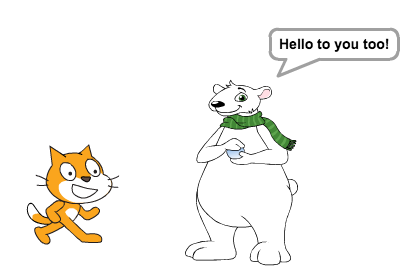 Broadcasting and receiving messages allows two sprites to have a proper conversation. First, we need to tell one of the sprites to talk, as above. Then the other sprite can receive that message...and when he does, he knows it's his turn to speak! Then it's his turn to broadcast a message...and the first sprite's turn to receive one! Remember, you can try all of this and more at home! 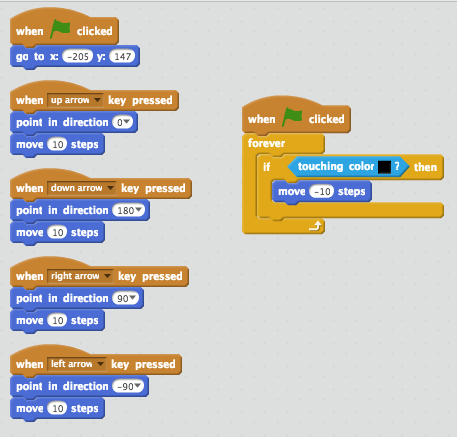 Just go to http://scratch.mit.edu/ and start coding!! Look inside the starter projects for ideas! 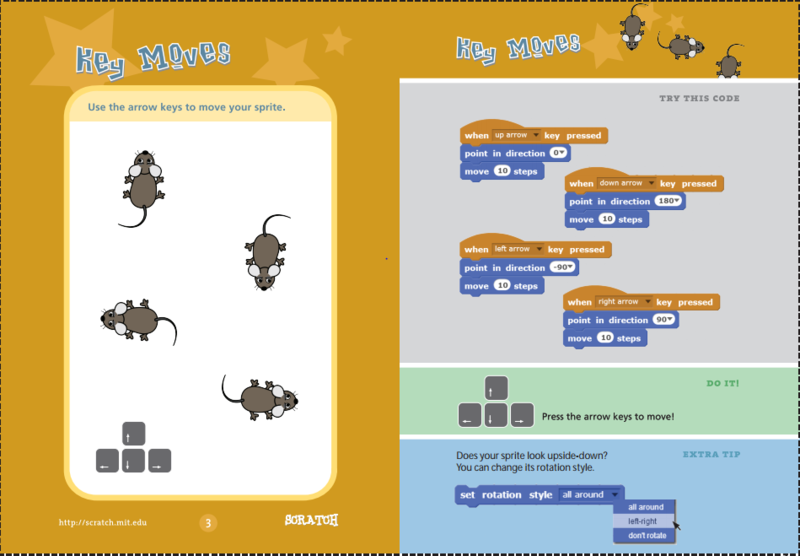 There is a handy starter pack available below and plenty more resources on the Scratch website, but the best way to learn is by doing...so get going!! 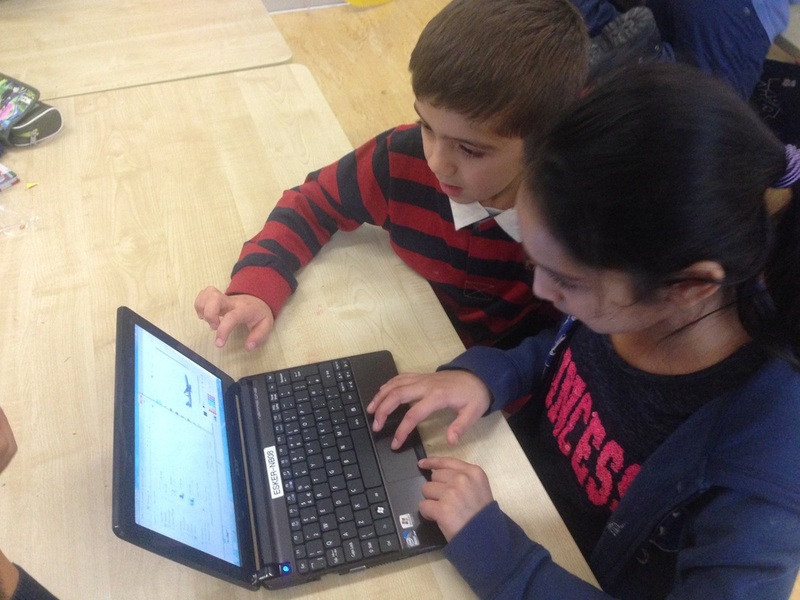 We took part in the Hour of Code 2014. Writing code tells a computer what to do. 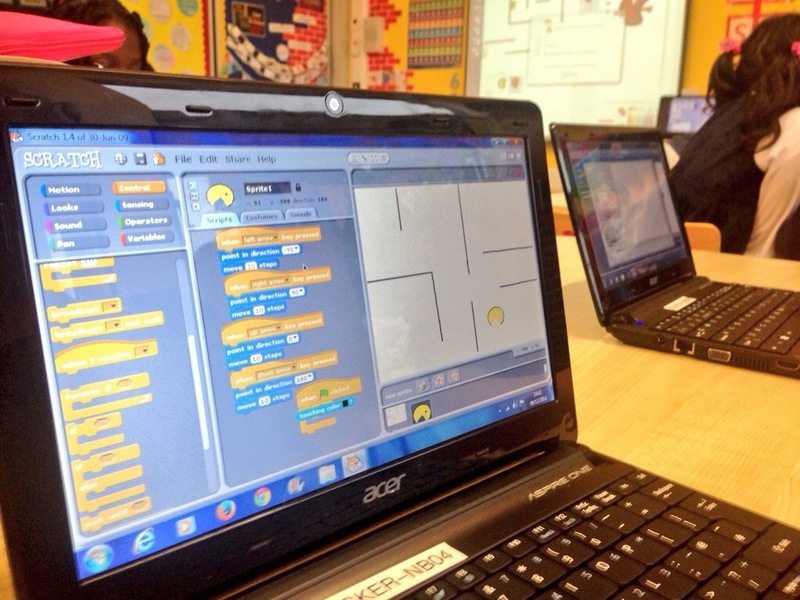 Coding is what allows us to make all computer software, games, apps and websites. 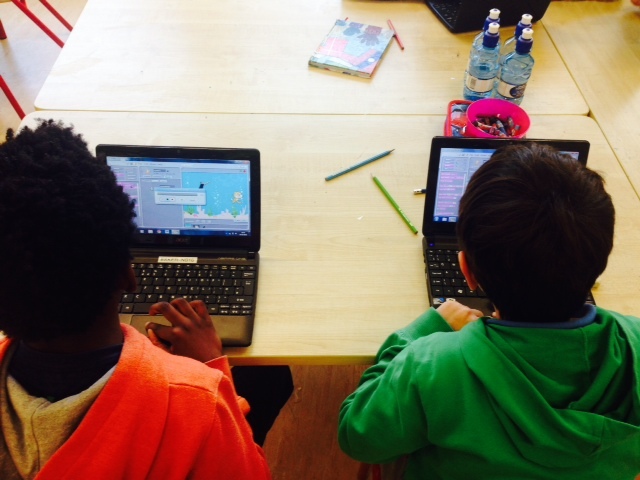 We are learning the basics of code with Scratch. 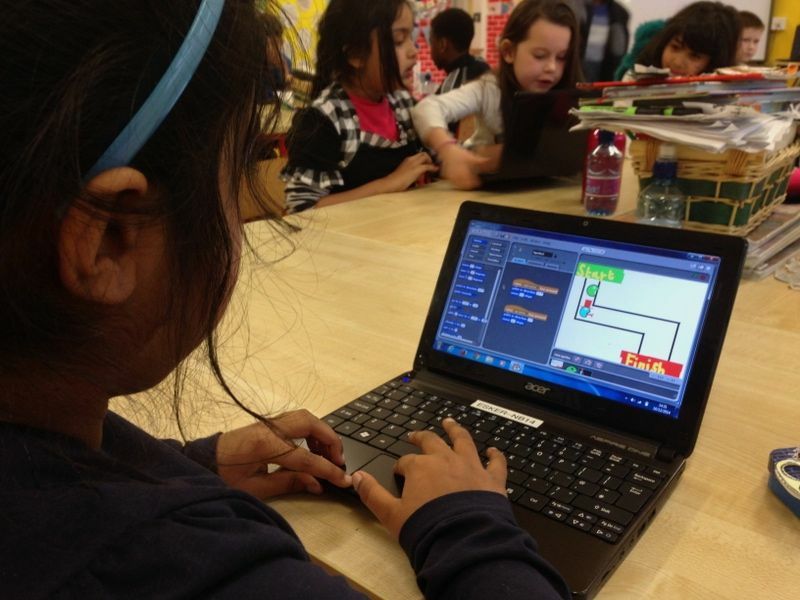 Coding is so important for the future that world leaders are trying to learn how to do it. 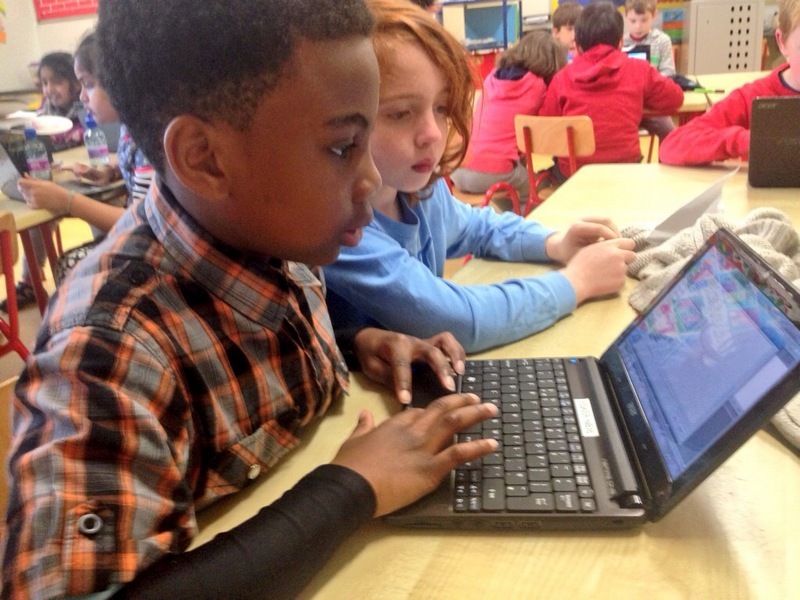 We thought that it was really funny that the Taoiseach was taught how to code by a 10 year old! You can read the full story here! 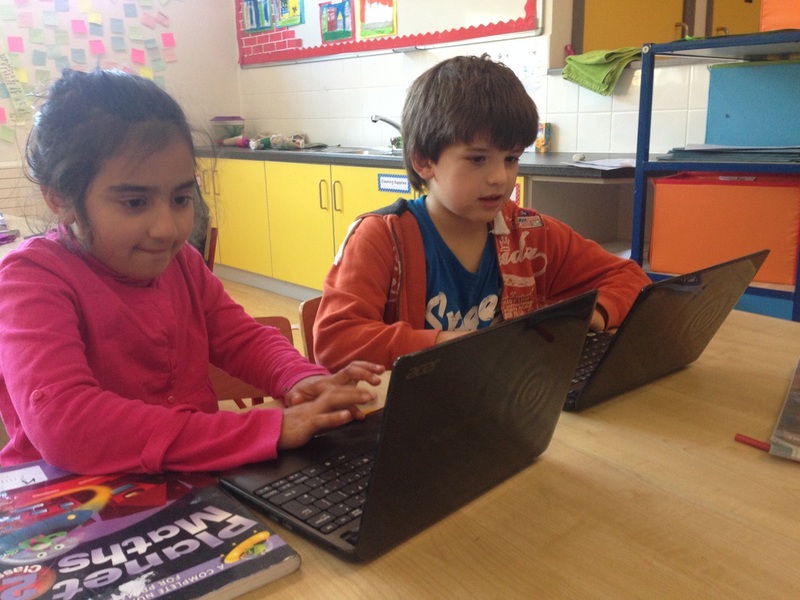 80,512,048 people have tried the Hour of Code. Anybody can learn! 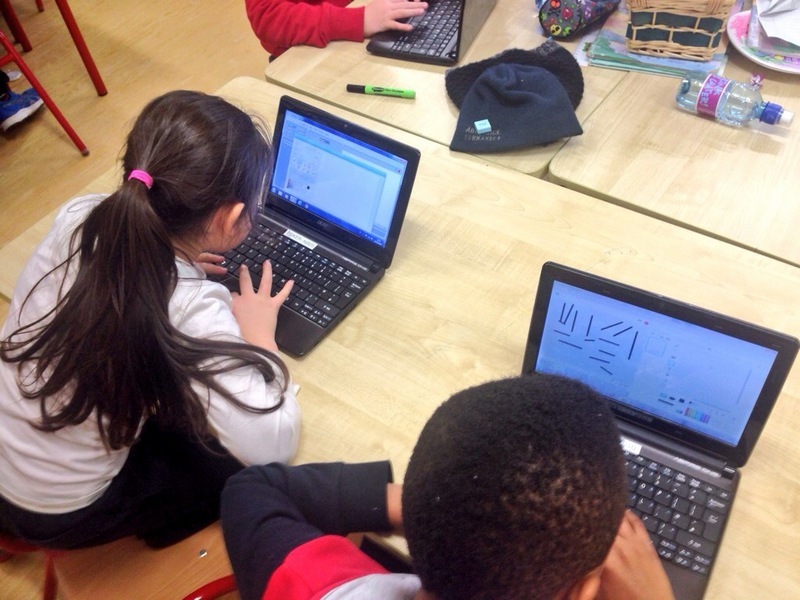 See http://hourofcode.com/ie for more. 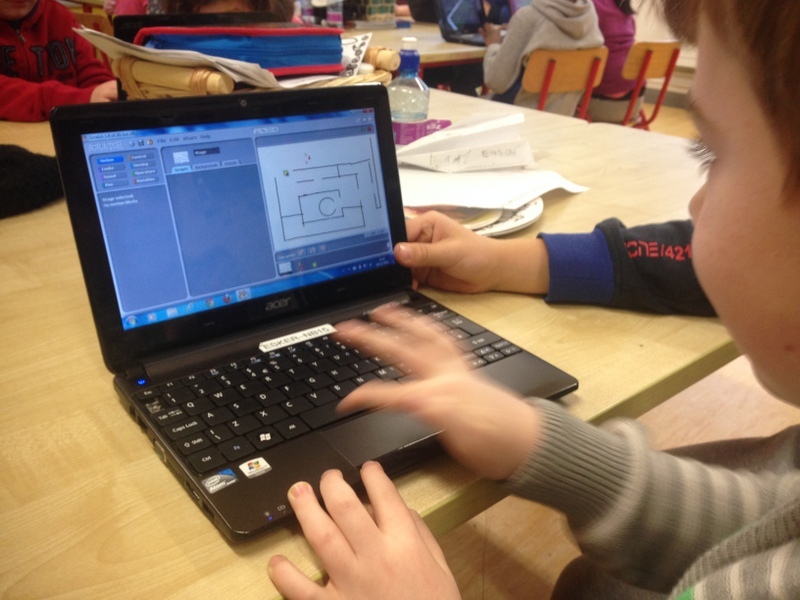 For our Hour of Code in 2nd Class Red, we continued using Scratch, but made our very first game! We created a maze by painting a new backdrop for our stage. Then we painted a new sprite. Lots of us made our sprite look a bit like Pacman! This is the sort of script we used to make it work! 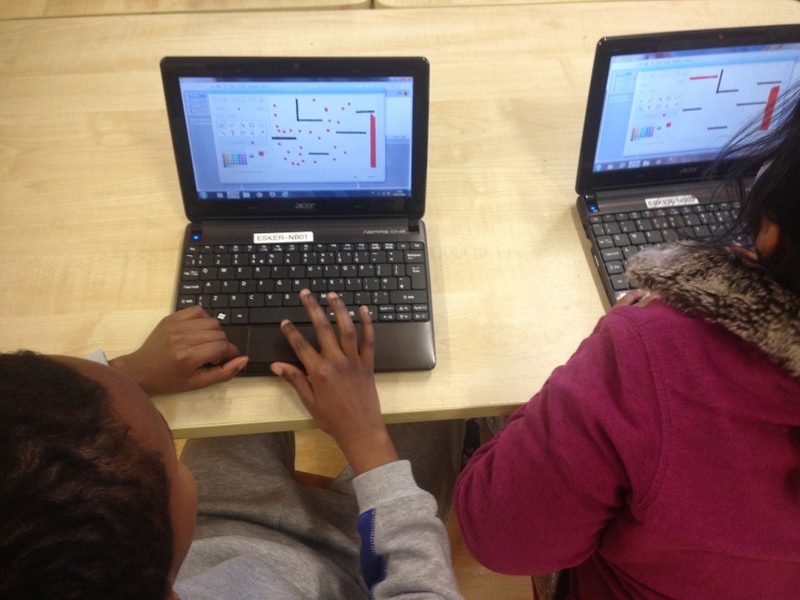 We then added a second sprite to make it a two player game! 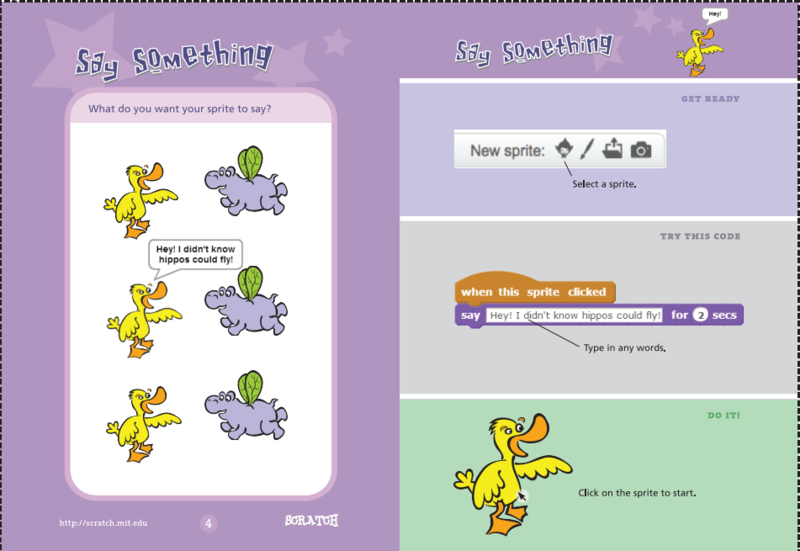 Remember, if you can't remember how to do something or if you want to make your maze a bit more complicated, look inside the starter projects on http://scratch.mit.edu/starter_projects/. You can learn lots from these starter projects and use them to inspire your own! !